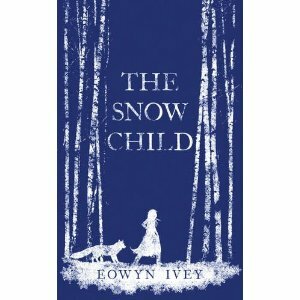 i recently finished reading (for the third time) the wonderous book 'The Snow Child' by Eowyn Ivey. it was a truely moving tale that was realistic to life yet touched upon the realms of fantasy in many ways for it is an interpretation of an old russian folk tale about an elderly couple who one day build a snow girl and it comes to life, the ending is sad as most traditional faery tales are and no mater how the story is told the girl allways melts. Eowyn really captures the essence of this story in her book in great detail to which i found it an enthralling read if a little difficult at first. i would certainly recomend it as a good book to read on those long flights when there is nothing to do as it will fill the time most nicely as you relive the tale as it is told before you and experience the many different emotions of all the different characters as they attempt to live on the edge of the northern wilderness. a good debut book as any would see.